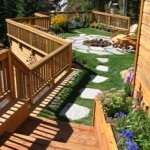 Green Roofs | Elise Fett & Associates, Ltd. 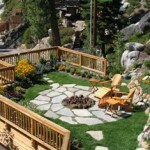 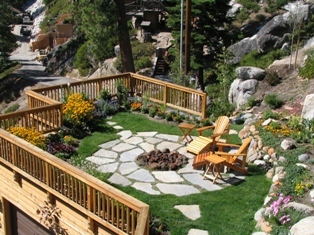 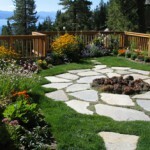 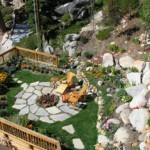 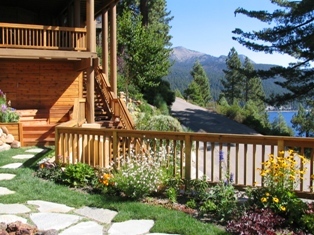 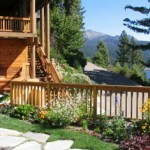 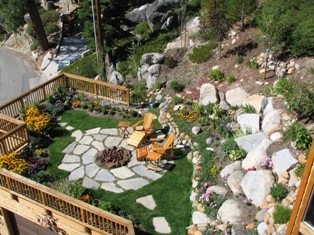 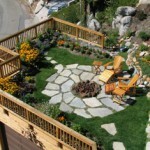 The hot new thing in Lake Tahoe is green roofs and Elise can help you design yours. 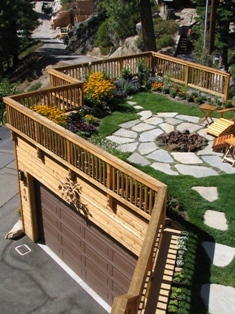 A green roof or living roof is a roof of a building that is partially or completely covered with vegetation and a growing medium, planted over a waterproofing membrane. 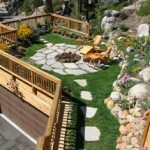 It may also include additional layers such as a root barrier and drainage and irrigation systems. 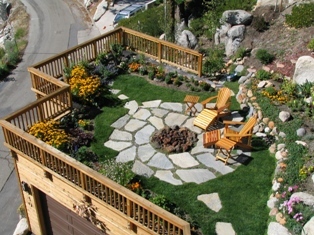 Container gardens on roofs, where plants are maintained in pots, are not generally considered to be true green roofs, although this is debated. 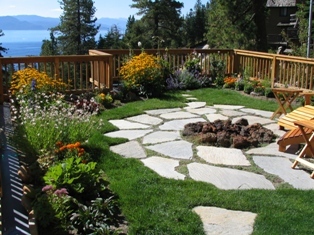 Rooftop ponds are another form of green roofs which are used to treat grey water. 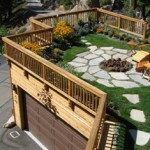 Home remodel with separate green roof garage addition. 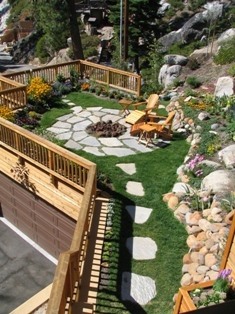 The green roof concept allowed the home owners to have a useful and attractive view in front of their home and out to Lake Tahoe while providing a flat front yard to enjoy on this very steep terrain. 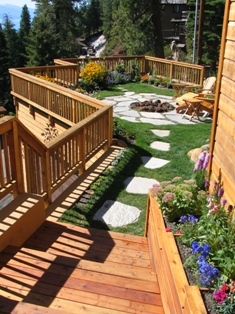 Check back in the near future for images of the Powers and Hide green roofs, construction on those projects is nearly complete!